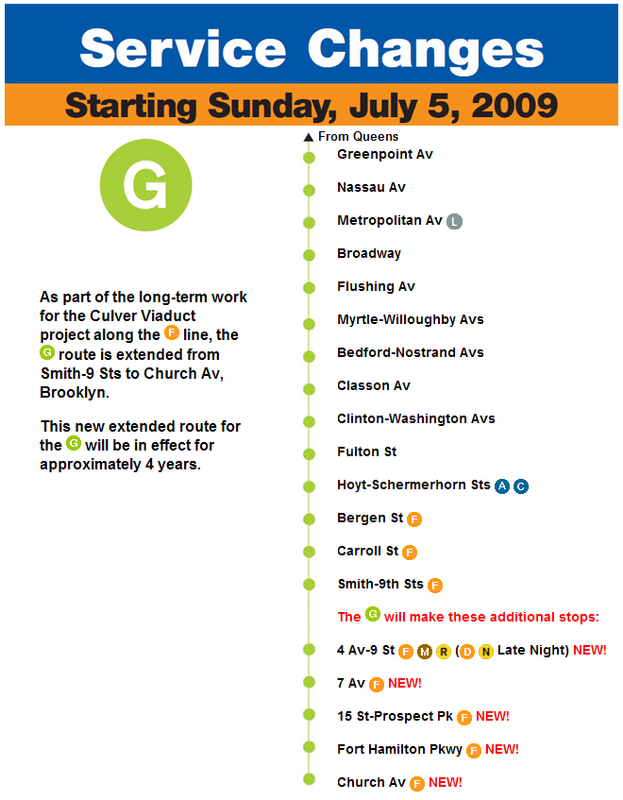 As announced here on the Railfan Window Blog first, the G line extension to Church Avenue is still scheduled to begin on-time on July 5, 2009. Here is the Service Changes poster than New York City Transit finally uploaded to their website. 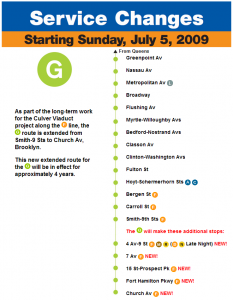 Beginning July 5 and lasting approximately four years, extensive reconstruction of the Culver Viaduct will require the extension of the G Line subway service to Church Avenue in Southern Brooklyn. While designed to accommodate this major structure rehabilitation, the extension will provide additional service south of Smith-9th Street, save travel time for many customers and provide additional transfer options. 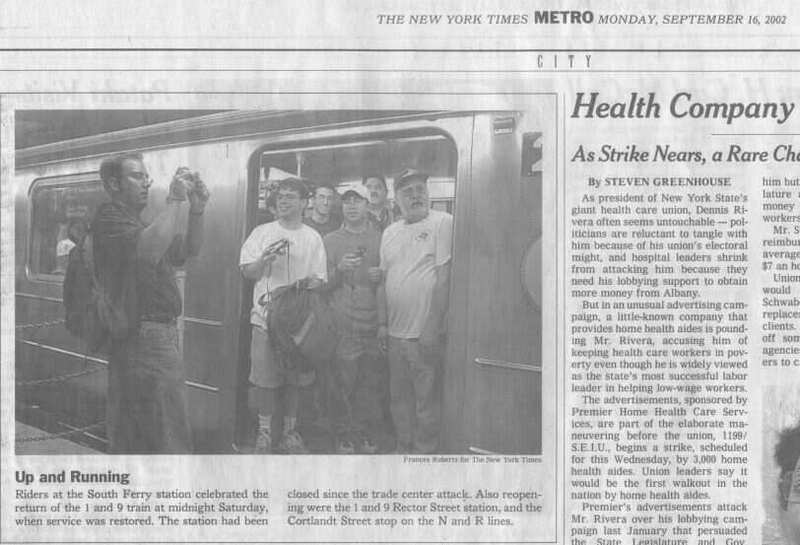 This change is necessary because rehabilitation of the steel and concrete structure, opened in 1933 as part of the IND system, requires the removal of two tracks from service for the duration of the project, eliminating the area at 4th Av-9th Street used by G trains to reverse direction.